A Brazilian and Bolivian miniature sized, warm growing epiphytic or lithophytic species with 2 leaves found at an altitude of 740 to 1000 meters in thickets among the coastal mountains or tucumano-boliviano forests with short, robust, oblong-fusiform, slightly compressed pseudobulbs carrying 2, apical, small, erect to spreading, fleshy, semi-cylindrical, linear, very acute, slightly arcuate, deeply channeled above leaves that flowers in the mid-winter and spring on a short, ascending raceme arising from a new growth with minute bracts and 2 flowers held among the leaves. A strange sidenote, this is the only Brazilian Laelia with more than one leaf. 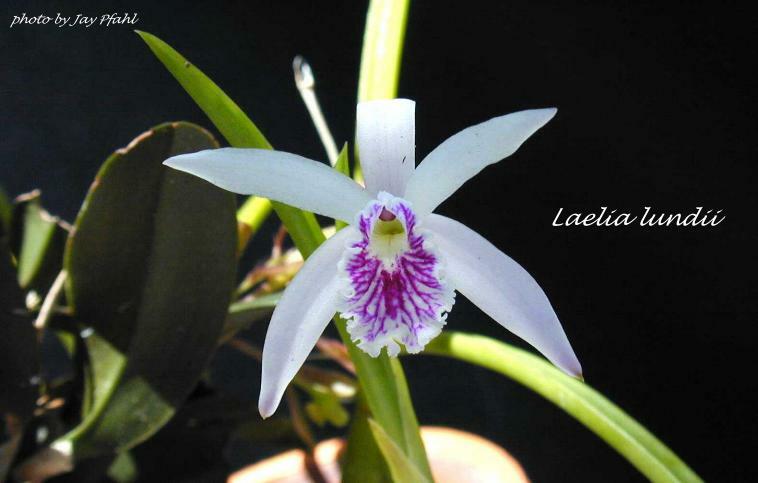 Laelia lundii Rchb. 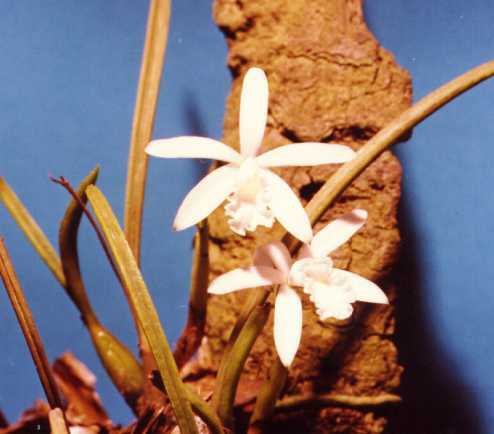 f. 1881 var alba SUBGENUS Microlaelia [Schlechter] Withner 1990 Photo by Mauro Rosim of Brazil. 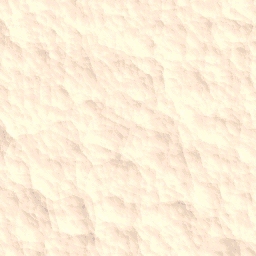 A white variety of the previous species.